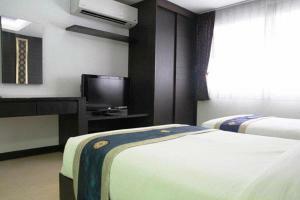 Oasis Inn Bangkok offers well-furnished modern rooms located a short 2-minute walk from Phloen Chit BTS Station, along Sukhumvit Road. 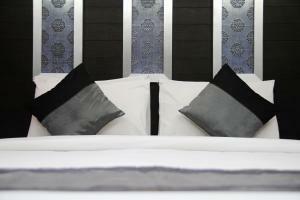 It offers free Wi-Fi in the guest rooms and free parking. Fitted with dark wood furnishings and bright colours, Oasis Inn’s air-conditioned rooms have a fridge and an electric kettle. Featuring Thai accents, they also have seating areas and private bathrooms with hot/cold showers. The tour desk offers assistance with day trips around Bangkok. 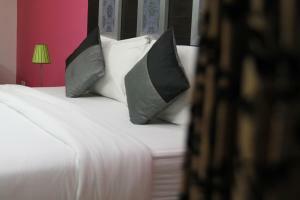 Alternatively, guests can lounge at Oasis Inn’s cosy garden. Other services include laundry and dry cleaning. 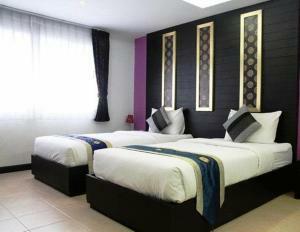 Bangkok Oasis Inn is 5 minutes by BTS from major shopping centres like Siam Paragon and Central World. The world-class Bumrungrad International Hospital is less than 30 metres from the hotel. Located on high floors, room features a kitchenette, a flat-screen satellite TV and a safety deposit box. Free toiletries are included in an en suite bathroom. 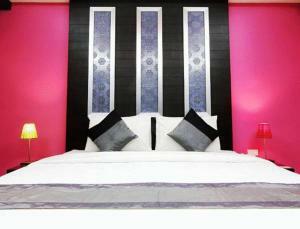 Room features air-conditioning, a flat-screen satellite TV and a minibar. Free toiletries are included in an en suite bathroom. 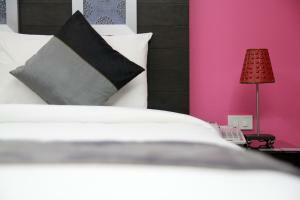 Rate: THB 1032.00 ... THB 1385.70; select dates below to get current rates.